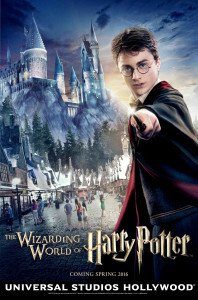 Universal Studios Japan will be celebrating its 15th anniversary on March 31, 2016. 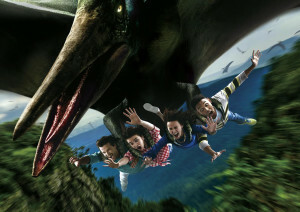 As the 1st product to celebrate its 15th anniversary among many, The Flying Dinosaur with a combination of its creativity and technology of Universal Studios Japan, will be opening this coming spring, as the highest flying coaster the world has to offer*. Vowing to “bring the best of the world to Japan,” Universal Studios Japan will be doing just that with their latest flying roller coaster development. It’s the longest of its kind in the world*, featuring a combination of sudden drops and climbs, with overwhelming G-force generated by the world’s highest top-to-bottom elevation*, all taking place in an enchanting Jurassic Park setting. Unlike conventional sit-down roller coasters, the flying roller coaster has passengers flying at great heights like a bird, dangling face down to experience the thrill of a lifetime from head to toe. The host of America’s No. 1 late-night talk show will soon get his very own theme park attraction at Universal Orlando Resort. In 2017, Jimmy Fallon – host of The Tonight Show Starring Jimmy Fallon and one of today’s funniest comedians – will be the star of a brand-new hilarious ride experience at Universal Studios Florida called, Race through New York Starring Jimmy Fallon. 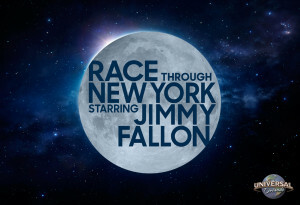 Guests will enjoy the full Tonight Show experience as they’re transported to Studio 6B to race against Jimmy in a crazy adventure that only he could imagine. Jimmy and his creative team are working closely with Universal to develop the ride’s storyline and bring his vision to life. The experience will seamlessly blend the playful and irreverent world of The Tonight Show Starring Jimmy Fallon with the incredible technology and imaginative storytelling for which Universal Orlando is known. 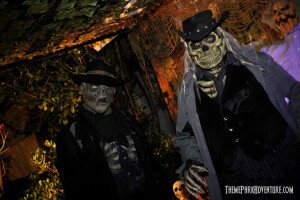 Each Halloween season, Boot Hill rises from the grave and brings Old West terror and mayhem to the otherwise-friendly streets of Woodbridge in Irvine, California. One of the most elaborate home haunts in the Southland, Boot Hill is a visually stunning mixture of high-tech spookery and good old-fashioned jump scares that is family-friendly and can be toned up or down on the fly, depending on the age of visitors. I have a hand in the legacy of Boot Hill; I co-created it with Shea Foley more than 15 years ago, writing its back story and developing the look and directing the custom soundtrack that was done for us by my long-time pal, the insanely talented Andy Garfield. Back then, it was pretty much unheard of for home haunts to have custom scores written – however, it was something we all just wanted to do; it felt like the right thing to do, to support the story. In a lot of ways, I think Boot Hill was ahead of the home haunt curve, taking its cue from the legendary Hallowed Haunting Grounds that existed once upon a time in Studio City, California. There are a very small handful of home haunts in Southern California that take on the daunting task of re-inventing themselves each Halloween season. Perdition Home in Yorba Linda is one of those – and we absolutely love this team of haunters. By definition, “perdition” is a state of eternal damnation – punishment after death for sinners and evildoers. In the terms of this home haunt, that perdition takes on the form of a maze – nightmarish in content, with violent, really unsettling scenes that reveal themselves to guests traversing each twisted hall and corridor.